Bifurcation can both slow down and speed up divorce proceedings. If you want to remarry or just put your marriage behind you emotionally, you can be legally divorced relatively quickly if you set certain issues aside for later resolution. When the property issues are complex, such as dividing a jointly owned business, valuing and negotiating the asset for distribution can take years. Bifurcation allows you to finalize your divorce without waiting out this time-consuming step; a court will decide the business issues later. However, there is always the risk that, once divorced, you or your ex-spouse will procrastinate and avoid finalizing the remaining issues between you. Normally, all issues between you and your spouse must be resolved so you can legally go your own separate ways. Therefore, if you choose bifurcation, you'll probably have to pay court costs and attorneys' fees for at least two separate court appearances. 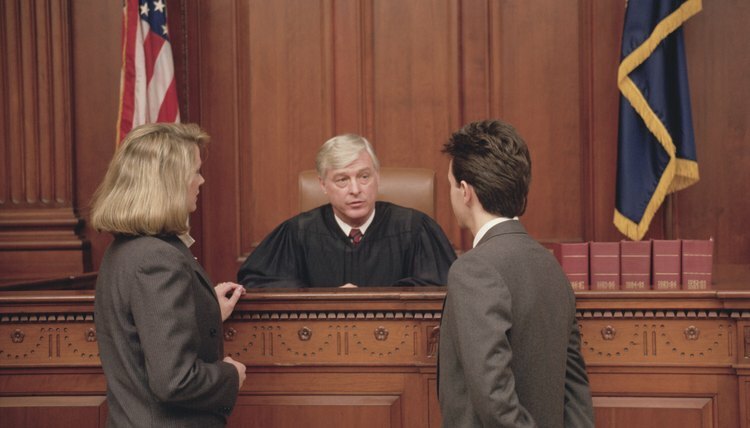 You’ll have to appear in court once to end your marriage and receive your decree, then a second time to place your property settlement agreement on the record, assuming you reach a settlement. Otherwise, you’ll appear several more times for trial, so a court can decide the property issues between you. Bifurcation can affect your tax situation. If a court orders you to pay temporary alimony until your divorce is final, it’s not tax-deductible until you are legally divorced. When you bifurcate your divorce, however, the spousal maintenance you must pay immediately becomes tax-deductible. You can enjoy this benefit while you work toward resolving other issues. On the other hand, bifurcating a divorce means you lose the ability to file a joint tax return. For many couples, filing joint returns is financially advantageous. You'll lose this advantage of marriage earlier if you bifurcate your divorce and finalize it sooner. Some states, such as Florida, will postpone only the resolution of property issues in a bifurcated divorce. In these states, if you have children, you must resolve custody and child support before you receive your initial divorce decree. If your state allows you to divorce but delay custody decisions, the lack of a court-ordered parenting plan can be difficult for your children, especially if your divorce is particularly acrimonious. Many states do not consider this to be in the best interests of the children. MyFamilyLaw.com: What Is a Bifurcated Divorce? Robin Roshkind: Can You Get Divorced Without a Property Settlement?